When I had decided on Seoul as my first solo trip and bought my plane tickets, the next most important decision was figuring out accommodation – where to stay in Seoul. I didn’t need a fancy room with bells and whistles since I would be out of the room most of the day, somewhere convenient and safe and clean was all I really asked for. STV is located in Myeongdong (Line 4, Myeongdong Station), a pretty central shopping area in Seoul. It’s quite happening and busy at nights, so I usually spent my evenings winding down by walking the streets and doing a little shopping, just soaking up the vibe. However, STV itself is located on Namsan, which is on the hill side. 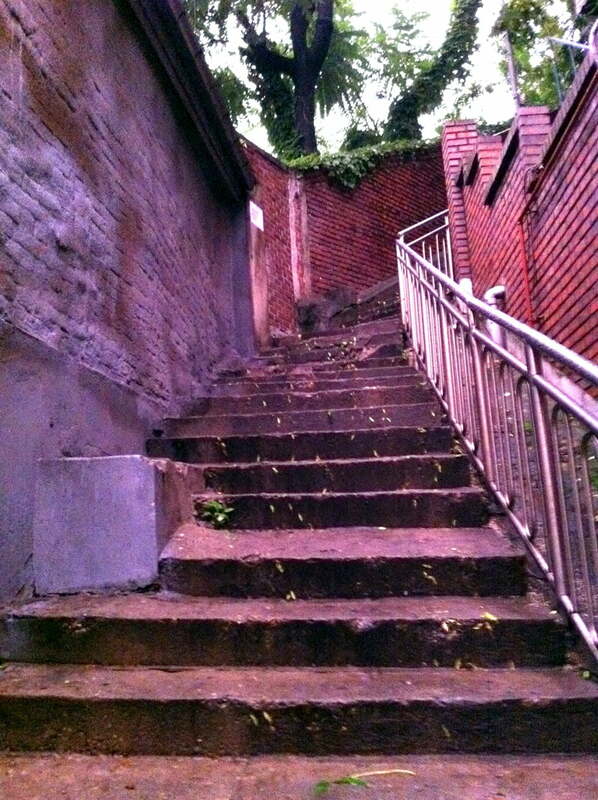 There’s a back door short cut that cuts up from Myeongdong Station Exit #3, but it’s uphill all the way and at one point, you’re navigating a bunch of uneven steps in a narrow up-sloping alley. It’s lit at night, but I still was a bit nervous because it’s a pretty quiet pathway. Also, I was always panting by the time I reached the top! It is cooler because it’s on a hill – I never needed the air-conditioning at night, the weather was just perfect. There are some insects from time to time though – I had a mosquito keep me up one night, but it might have been because I didn’t close my screen window properly. It’s also supposed to be quieter as its away from the crowded Myeongdong area, but there was some construction going on next door so there was some banging and clanging around in the mornings. Getting there from the airport is easy – you just take Bus #6015 from the airport (buy a ticket from the counter when you exit the arrival hall for 10,000 won) at bus bay 5B/12A. The bus comes quite frequently – 10-15min intervals. It’s a loop bus ride that takes about 70mins to reach downtown Seoul, and you’re looking to drop at Sejong Hotel. From there or from the airport before you catch the bus, give the owner a call and he’ll come pick you up from there. (The doorman at Sejong Hotel kindly called STV for me using his cellphone when I was trying to look around Sejong Hotel for a phone – now there are detailed instructions on their website as to how to contact them!) I don’t recommend you trying to find STV on your own for the first time, especially if you have luggage, because that back stairway is no joke! Detailed information on travel from the airport can be found here, but the rates might be a little outdated so check them up first. The rooms are plain and pretty simple, there’s a live-in homey feel to the furniture, not the newest but in good working condition. 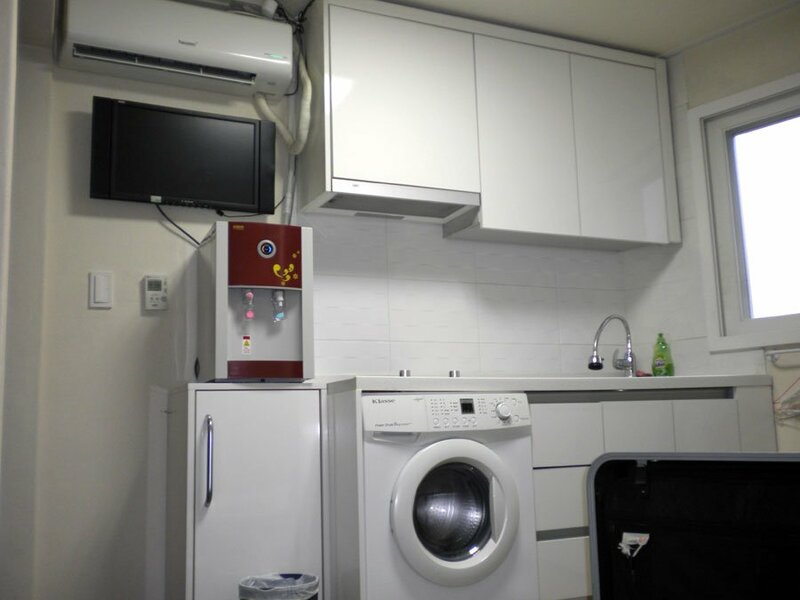 Everything you could possibly need can be found in the room, even the little single room that I was in: Washing machine, stove, fridge, microwave oven, air conditioning, TV… plus your own water dispenser and attached toilet. Simple amenities like toothbrushes, shampoo and tissue paper are provided as well and they clean up your room every day too! The single room I stayed in was pretty small – it reminded me of my hostel room, where there was a bit of floor room in the middle but pretty much the only place to sit was on the bed. It was located on the 4th floor (Blk D) and while quite strenuous when you include the climb up to STV, it did have a pretty good view of the Myeongdong/Namsan area. I could see Hotel Sejong on one side, and N Seoul Tower on top of Namsan on the other! My double room (Blk B) was on the 2nd level, and while less of a climb, its windows were about a metre or so from the neighbouring brick wall, so there was no view to speak of. Still was cooling when you cracked open the window though. The room layout was different from the single room, but all the same amenities were there, and there was much more space to walk around. 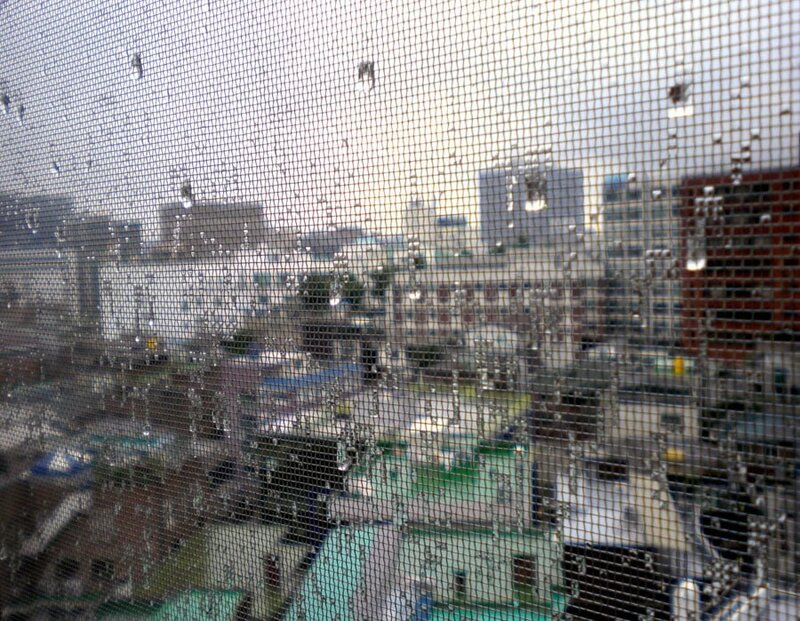 It was a rainy day when I arrived in Seoul! 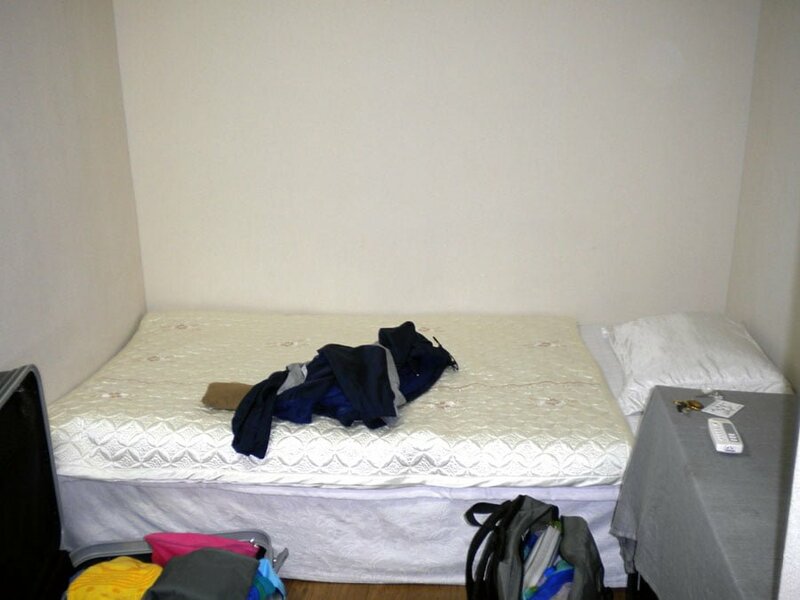 Pretty reasonable – the single room cost 45,000 won per night, which works out to about S$50. Most of the hotels that I checked out are about S$80 per night at least. 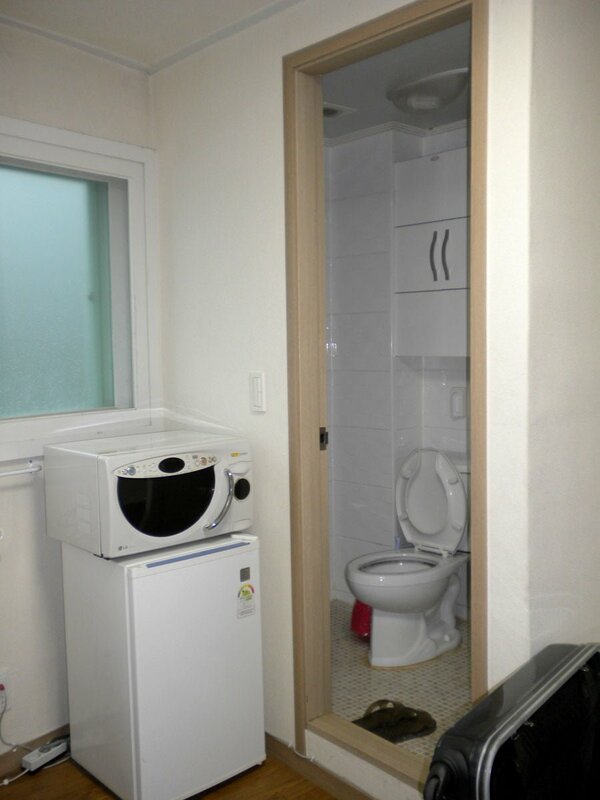 Hostels are cheaper of course, but I didn’t want to share a room/toilet. You’re pretty much left to yourself after checking in – payment is usually upfront upon arrival and in cash to the owner after he showed me to my room. There is a little lounge area where there are some brochures (not very useful), but no good maps of Seoul so you either need to take one from the airport or have a guidebook with you. Also, I hardly saw the owners there, so if you’re the sort who likes to get tips/advice on travel, you’re not going to get that much here. Also, it’s not like your typical hostel with a main room where people get to meet each other and hang out, so if you’re the sociable, you’re better off at an actual hostel! Check out Seoul Tower Ville on booking.com – booking through this affiliate link means that I may get a small % of the booking made that helps keep this site going, at no extra cost to you. Dear Jaclynn, Thank you for your sharing. I got know this hotel from other website, the comment is not bad but yup, all reminded the location is uphill, haha! but i think it is ok for me. I am planning to visit Seoul in Nov 20-25. I emailed to the hotel and asked for the 5th floor room. it is 40000 won / night per person. how do you think? 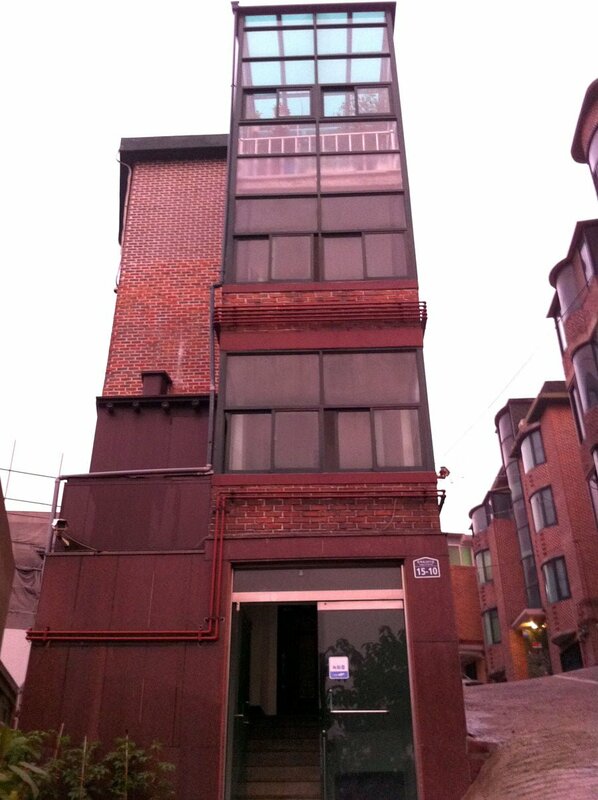 2nd to 4th floor is 45000 won. do u think i should save 5000 won per night after “always ended up panting by the time reached the room!” haha! looking forward to your reply. thanks. im not sure if my previous comment got through, but i would like to know if the walk to STV (the slope and stairs) is safe? is the neighbourhood quiet? yes even though I was a bit nervous about it as well at first, but I didn’t encounter any problems walking the slope and stairs. It’s fairly well lit, and though neighbourhood is quieter, generally felt safe. Is it safe to walk up the slope at night, considering that its dim and its a quiet neighbourhood? Hey. I’m wondering, why is the price rather cheap? because a twin room only costs around 25.000 KRW per night/person. Is it because it’s an apartment and your left by your own? And is there a curfew? Hi, good photos. We planned to stay there in Dec but the thought of climbing the stairs and slop is a concern as we’ll be staying for 6 days. How long does it takes to reach the apartment from the base of the stairs? Given a choice, would you stay there again if there is a guest house like IB ville located lower than STV? Hope to hear from you. Thanks. from the base of the stairs it’s about 5 mins tops? Not a very far walk, just a bit tiring as the stair is pretty steep! Thanks for your reply. Hope to see more of your travelling bklog so that I can get some tips from you. Where are you going next ??? hi! quick question..mai-irecommend mo ba ang seoul tower ville?? kasi parang di maganda yung daanan niya eh,,hindi ba delikado jan??? hi as much as i want to help you, i only speak english and chinese! sorry!